Good morning/ afternoon/ evening, whatever time you’re reading this. Wherever you are. Guess what… I’ve finally uploaded another piece of free vector artwork. 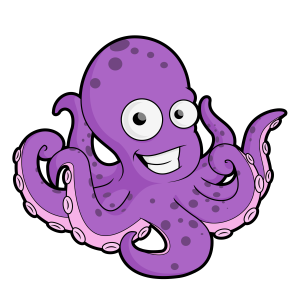 This time it’s a FREE cartoon octopus clip art vector. 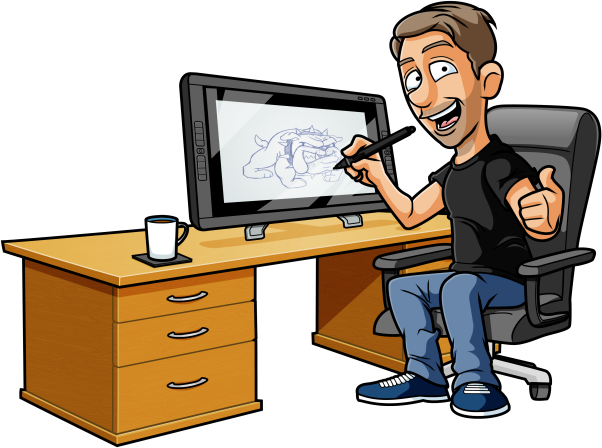 You may or may not have previously seen the free cartoon dog vector I uploaded last year. It has been a while since my last post, but these will coming in thicker and faster now I have a ton of free vector artwork to give away. So, to the left is a preview of the free octopus cartoon vector. Can it be counted as clip art too? Yes, yes it can. Why? no idea!… Don’t know the exact definition of clip-art without Googling it. I like giving away free stuff. Mainly as it helps drive traffic to my site. Plus I’m so, so giving. I just give give give. It’s all I ever feel like I’m doing actually. Giving. Important: Please note that these are free for personal use only. If you wish to use these commercially, then contact me.